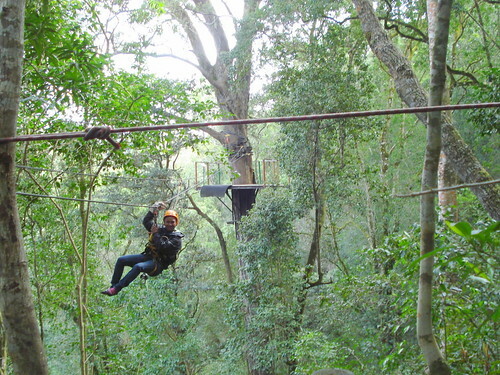 Canopy Tour in the Tsitsikamma Forest, a photo by barbourians on Flickr. Our guide for the canopy tour in the Tsitsikamma forest. 10 zip lines with the longest being 91 meters. Many of the platforms are built around giant Outeniqua Yellowwood trees that are up to 700 years old. You slide down steel cable that is attached to the tree 30 meters above the ground.